Since there is a large number of websites, it is impossible to be present and active on all of them. This is why it is necessary to explore different types of websites and find the ones that are most likely to help with achieving our goals, whether we talk about companies or individuals. The list of the most important websites, we will present here, is based on the popularity of each website and on the number of active users. Facebook is considered to be the most popular social network at the moment. Hence it is important in social media marketing. With over one billion registered users, Facebook is also the network with largest amount of potential customers. People use Facebook to create their personal profiles and then connect with their friends and acquaintances by adding them as so called Facebook friends. Users can share information about themselves, add photos and videos, react to other people’s content using emoticons such as like, love, wow, sad, etc. When it comes to promotion and using Facebook for such purpose, users can create pages and groups. In both cases, one must first have a personal profile in order to be able to create a page or a group. It is important to understand the differences between Facebook pages and groups. Pages are for celebrities, businesses and institutions, where they can create an online presentation by adding cover photo, profile photo, information about the company, website, etc. By default, privacy settings for pages are set to public, meaning that anyone can see the content published on the page. A page can have several administrators or managers, assigned by the creator of the page. 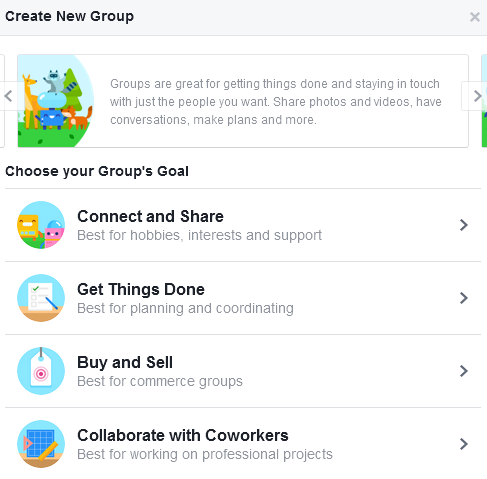 Facebook groups are created for users who share the same interests. Anyone can create a group and connect with the users who do not necessarily have to be friends on Facebook. A group has an admin, who can promote other members to admins. 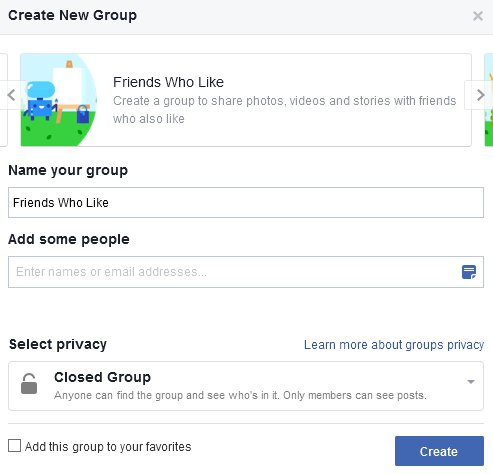 Groups can be open or public, where anyone can see the group and the post in the group. Closed groups are visible to anyone, but only the member can see the content, while the secret groups are only visible to the group members. Due to the nature of the groups, they are especially useful for groups of people, such as colleges, students, etc. 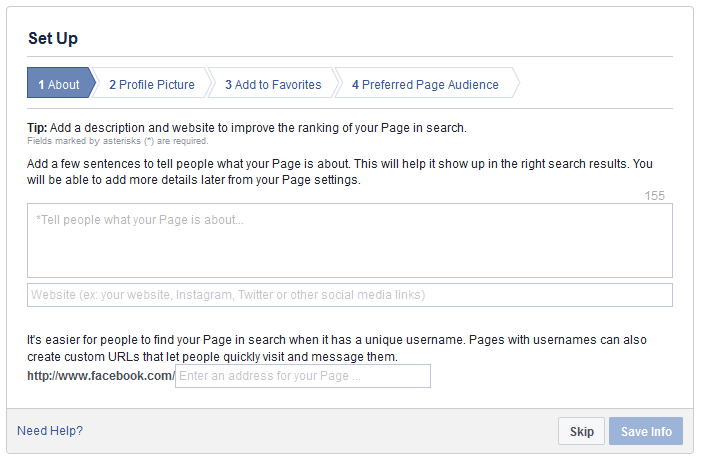 Regardless of the medium you choose for promotion on Facebook, you should start by creating a Facebook account. You should provide your real name, as well as the date of birth, a valid email address and a password. After you receive a verification email, use the link to activate the account. Use the option “Create Page” from the drop down menu in the top right corner. You can also use the following link to create a page: https://www.facebook.com/pages/create/. Choose the industry, depending on what you want to promote. There are multiple options available for the pages created with a different theme. For example, if you own a bakery, choose the options local business and add the address. On the other hand, if you have a band to promote, use the corresponding type of the page, so that you can add band members, etc. Having chosen the type of the page, you will need to select a more specific category from the dropdown menu which will appear once you click on one of the sections shown on the image above. You will also have to add the name of the page and then there are four steps left to be completed in the process of creating a page. About – In this part you will add a description and other links, such as your website’s URL, link to Instagram or Twitter profile, etc. You will also provide a unique username. 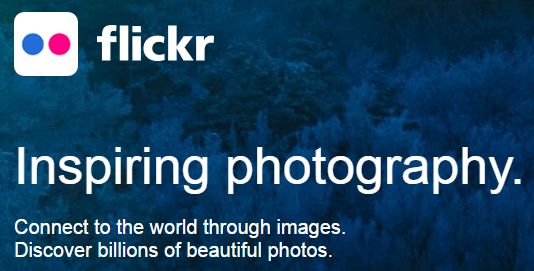 Profile Picture – You can upload the image from your computer or import it from a specific URL. Add to Favorites – You should add the page to your favorites so that you can easily access the page from the News Feed. Preferred Page Audience –Facebook allows you to provide more information about your target group, so that the page is likely shown to that group of people. 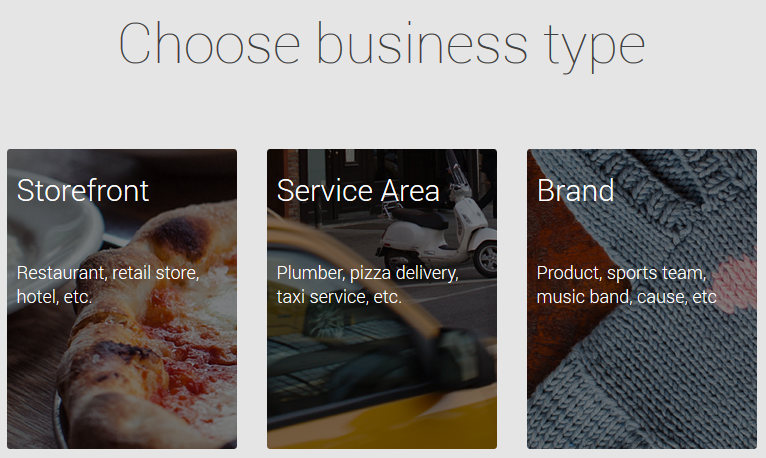 You can set your preferred audience using filtering by location, age, gender, interests and language. None of these steps are mandatory, so you can skip them and edit the information directly from your page. After the page is created, you should use different options that are available in order to customize the page. Since the page is a presentation of your business, regardless which type of business it is, you should take advantage of those options. Add profile photo and a cover photo that illustrate your business. If you have a store where your customers can reach you, add the location, phone number, and working hours. You should also add your website if you have one, and connect with other social networks. If your business has a long tradition, you can provide this information using milestones. 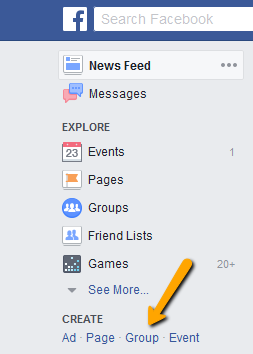 Anyone can create a group on Facebook using the option available in the dropdown menu in the top right corner or using a shortcut in the News Feed. 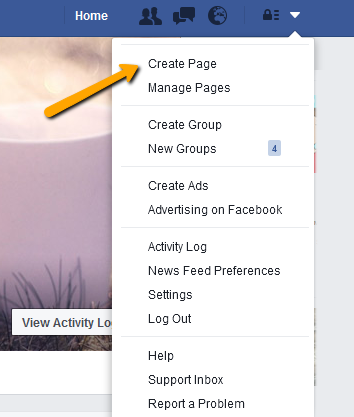 Click on the button “Create Group” and follow the steps. You will first have to choose the group’s goal. Add members from your friends. More members can be added later. Click on “Create” button to finish the process. After the group is created, you can use additional options to customize it. One of the major benefits of groups is the possibility to focus on a particular group of users and focus on the topic of interest. Anyone can see your page on Facebook, whereas groups’ privacy can be either public or limited to the specific users. This feature can be particularly useful in some types of business. For example, if you are a yoga instructor, you can use Facebook groups as a place to organize workouts in the local gym. If you are a teacher, group is a perfect place to share extra activities for your students. Another social network that has a significant role in social media marketing is Twitter. 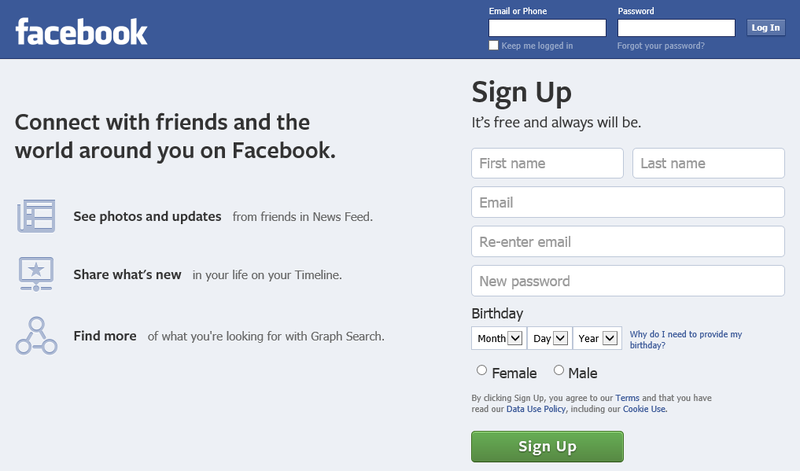 It is less popular than Facebook, but it still has over 310 million active users. 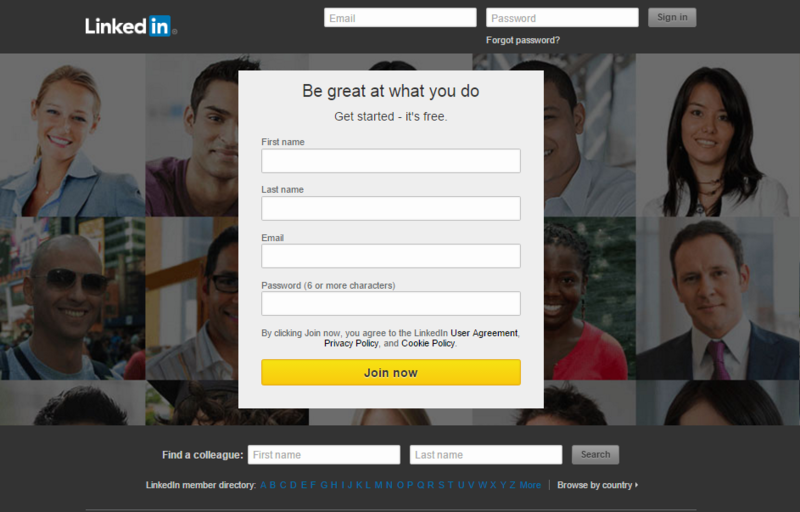 What differentiates this social network from the others is the micro-blogging form upon which the website is based on. Sending short messages, called ‘tweets’ is how the content is shared on this social network. Twitter is popular among celebrities, politicians, journalists, marketing and business professionals. Twitter profiles are less personal than Facebook profiles. 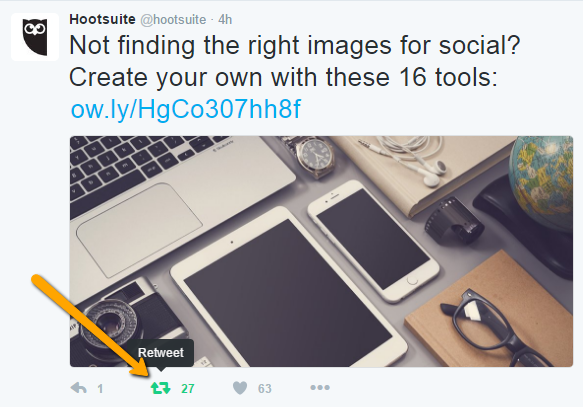 In fact, profiles on Twitter are for everyone, both individuals and companies. You should start developing your presence on this social network by creating an account. Provide the name, email and password and click on “Sign up for Twitter” button. You will need to click on the verification link that will be sent to your email in order to complete the process. After you have joined Twitter, you should add a profile image and a header photo. Additionally, you can add a bio (up to 140 characters), the URL of your website and location, which can also help you customize your Twitter profile. Twitter allows users to customize the background theme and font colors, in order to match the profile and header photo. Hashtags are labels that allow people to discover a content that is related to a certain topic. The popularity of hashtags grew on Twitter, to be adopted later by other social networks. For example, if you are a furniture manufacturer, add hashtags such as #furniture or #decoration in your tweets. Users who look for those terms will be able to find your tweets easily. If you come across a tweet that you like, do not hesitate to retweet it. It is a good way to connect with other people and show appreciation. Besides, it is a good opportunity to share quality content with your followers. However, use this option in moderation, as you need to have some original content published on your Twitter profile as well. Connecting on Twitter through following is not mutual. When you follow someone, it means that the user is notified, but that user does not necessarily have to follow you. However, following other users is a good way to connect, and get the exposure on this social network. Your goal should be to increase the number of followers, as you will also increase the base of potential customers. Only your followers will be able to see your tweets, as you update them, whereas people you follow will not see your tweets, thus you have no way of converting them into your customers. Additional integrations with other Google’s services, including Google Maps and Google Search makes this network a very powerful tool in social media marketing. Although the actual reach has been questioned by marketers, as Google+ never seem to gain such popularity as Facebook, Twitter or Instagram, it is believed that the network has impact on SEO and search traffic volume, especially when it comes to local search results. Google+ allows users to create Google+ profiles, which are supposed to be used by individuals, while Google+ pages are for companies and institutions. 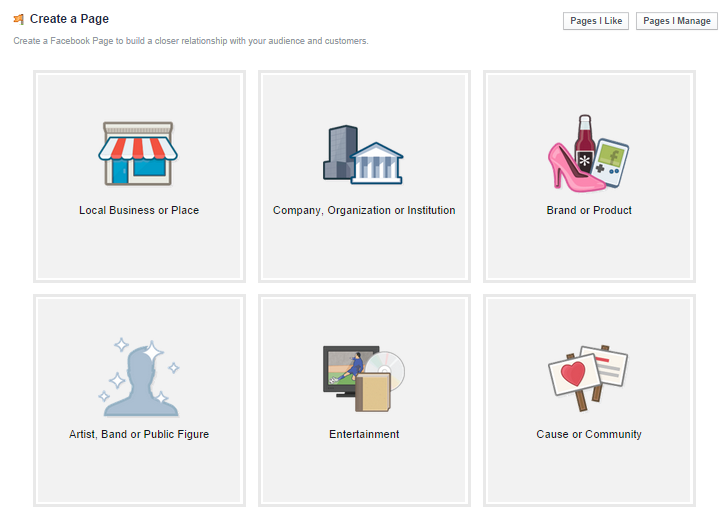 Profiles and pages offer some different features, due to their purpose. For example, pages include reviews and insights that can be helpful with social media monitoring, while this option is not available for Google+ profiles. You start by creating an account on Google (if you already do not have one). 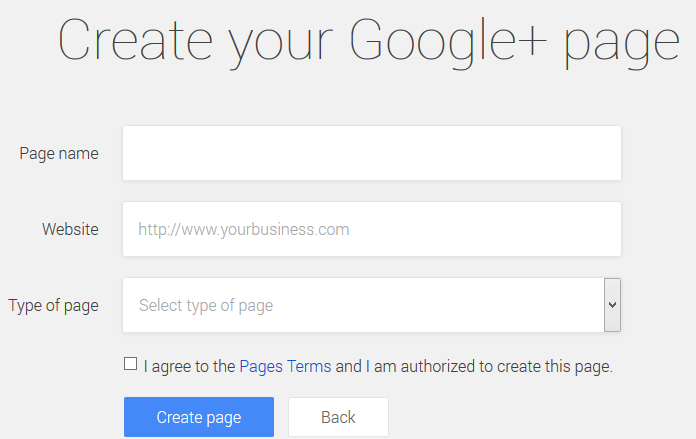 Using Google My Business feature, you will create a Google+ page for your business, choosing one of the three page types: https://business.google.com/create. 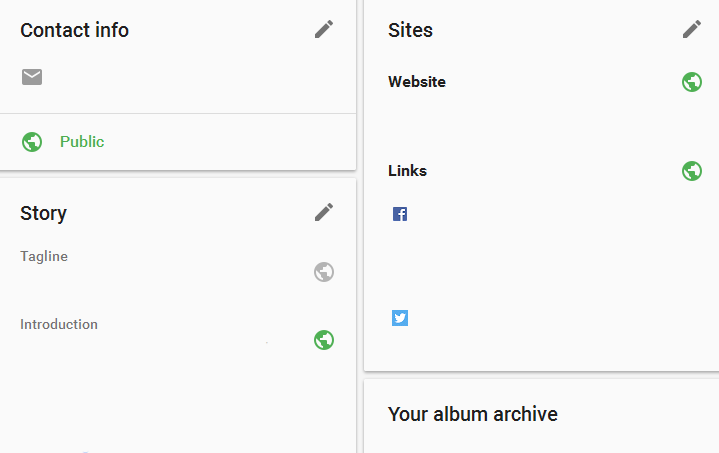 Once you have created your Google+ page, you will be able to customize it, in order to provide additional information about your business, link your website or other social media accounts. Not only will this help people find you easily, but you will provide enough information for all of those users who accidentally find your profile on this social network and want to learn more about your business and how to reach you. This social network is particularly popular among business professionals, so it is a good platform for B2B marketing. LinkedIn allows creating professional profiles or resumes, which are a good opportunity for both companies and individuals looking for job opportunities. Interaction on LinkedIn is done through sharing status updates and communication within groups. Once you have your profile set up, you can start interacting by sharing status updates, by commenting and liking the status updates published by your connections, exploring the network by searching for jobs, people, groups, companies, etc. These four social networks are some of the most popular social networks, and they are suitable for most businesses regardless of the industry. The great interest companies show, when it comes to establishing their presence on these social networks in particular, is mostly based on the fact that these networks have the largest number of users. Thus they provide a large potential for developing online relationship with larger target group. However, this is not the final list, so we will share some other social networks, that are very popular, and worth implementing in your social media strategy. While the social networks such as Facebook, Twitter, Google+ and LinkedIn are more general and can be used by any business, other social networks have some distinctive functions that make them suitable only for certain types of businesses. These networks are perfect for sharing visual content, in the form of images or short videos. They can be a good platform to reach potential clients by sharing engaging visual content, which is especially useful for online stores, decorators, clothing manufacturers, etc. Since the content being shared on these networks is in the form of images or short videos, if you want to establish your presence on these networks you have to create engaging visual content, which often requires additional skill and time. If creating videos is a part of your social media strategy, these social networks can help you as they enable you to host video files, as well as to interact with the community through your profile. The videos can be promotional, instructional, or you can even start a video blog, where you would regularly create videos on a certain topic. Video format can be applied to all sorts of business. While these platforms can host videos, you can additionally promote the videos on other social networks, by sharing the link. Creating and editing videos requires even more skill than creating photos, which is why businesses are not present that much on these social networks. 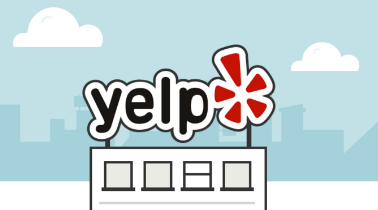 Foursquare and Yelp are social networks especially popular when it comes to local businesses. They allow users to post the reviews of the places they visited. Other users can search for the reviews in order to make a decision on which place to visit. Tourists especially use these social networks when visiting new cities and states so that they can see the recommendations regarding a certain business. The businesses are sorted in several categories, including arts, shopping, food, nightlife, etc. Therefore, if you want to target users by location, these networks can be really helpful, as their main focus are local businesses and customer reviews.